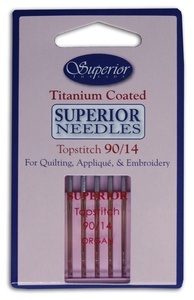 Titanium-coated needles have been available for longarm and industrial machines for many years but these are the first titanium-coated Topstitch style needles made for home machines. 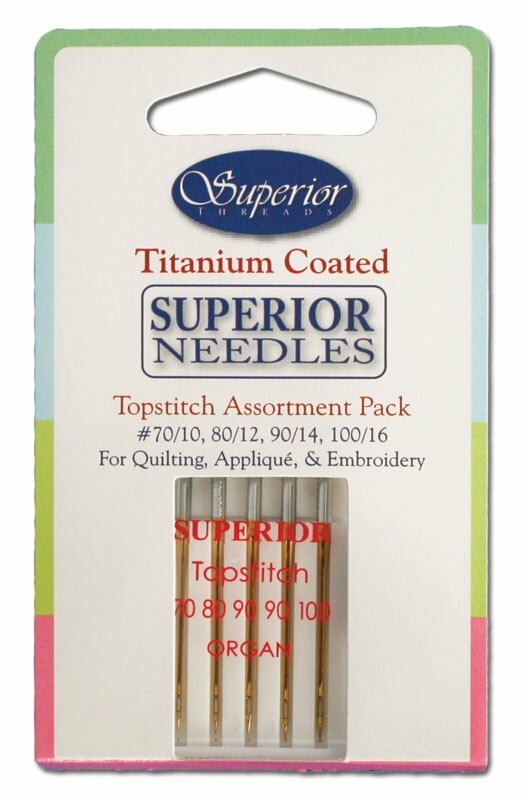 Superior Threads (USA) partnered with Organ Needle Company (Japan) to bring the latest technology of titanium-coated needles to the Topstitch and Microtex style for home machines. 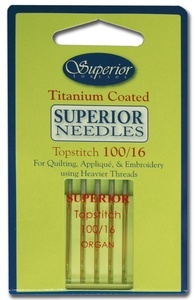 Because these titanium-coated needles have an ultra thin coat of titanium nitride, they will stay sharper longer and outlast any current Topstitch or Microtex needle on the market. In the past, most professionals recommended changing the needle every project or every 8 hours of usage. 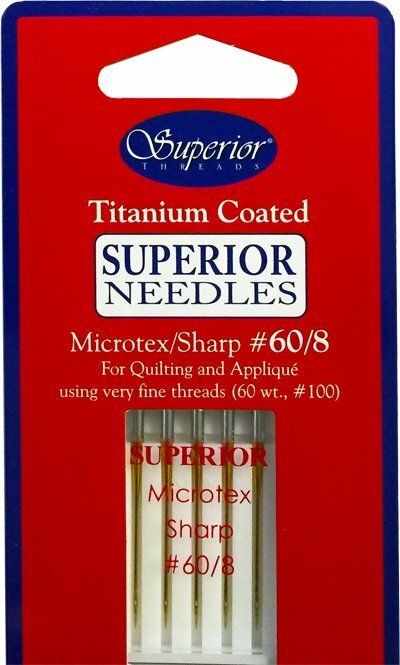 Imagine having a needle that will last 40 to 60 hours. 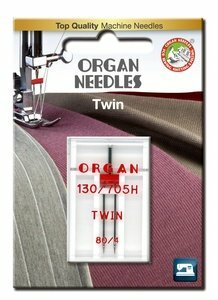 This is equivalent to saving 80% on the cost of needles. 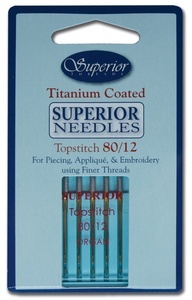 The Topstitch needle is the most common needle used today by professionals and educators. 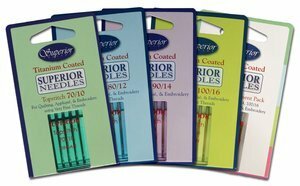 Recommended for piecing, quilting, appliqué, embroidery, and construction--can be used for ALL thread types including metallics. 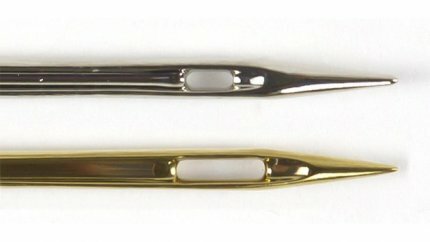 Often called the Magic Needle! 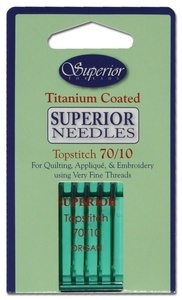 Photo below compares magnified universal needle eye (top) to TOPSTITCH needle eye (lower). Video below... or Click Education Tab top banner for full view.